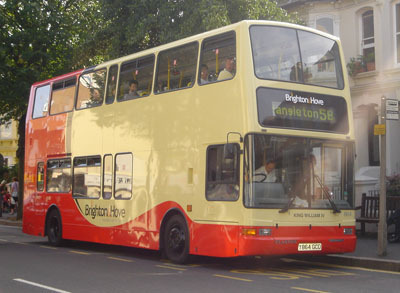 Connections with Brighton and Hove : Known as the Sailor King, he came to the throne late in life after his brother, George IV, died in 1830. 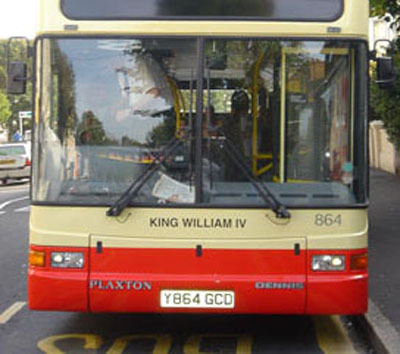 William visited Brighton many times when he was Duke of Clarence and kept on the connection once he became king. On his first official visit as monarch in 1830, a floral arch 50 feet high was displayed at the northern entrance of the Royal Pavilion. William stayed in the resort for part of every year until his death in 1837. With Queen Adelaide, he was seen walking in the town. Sometimes he would go to Kemp Town or visit the Chain Pier. 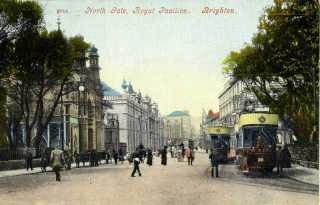 He also continued development of the Pavilion, calling it the Royal Palace, Brighton. A room in the Pavilion is named after him. He is reputed to have fathered several children by sundry mistresses, but as none of them was legitimate, he was succeeded by his niece Victoria. The Pavilion fell into disfavour during the reign of Queen Victoria who disliked its lack of privacy. She eventually decided to stay at Osborne house in the Isle of Wight instead. 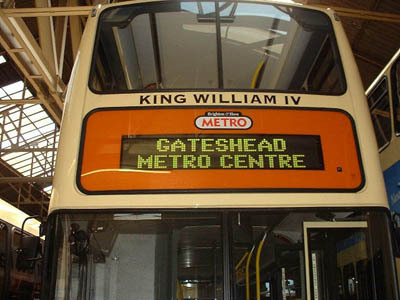 864 Dennis Trident - carried name since delivery in April 2001, on METRO Line 5, in 2004 repainted in new livery. 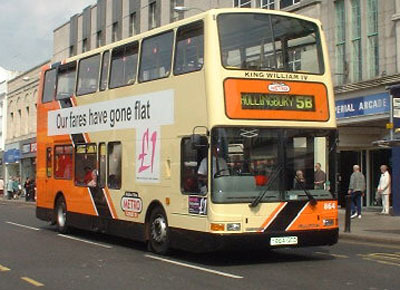 Bus sold in August 2013.